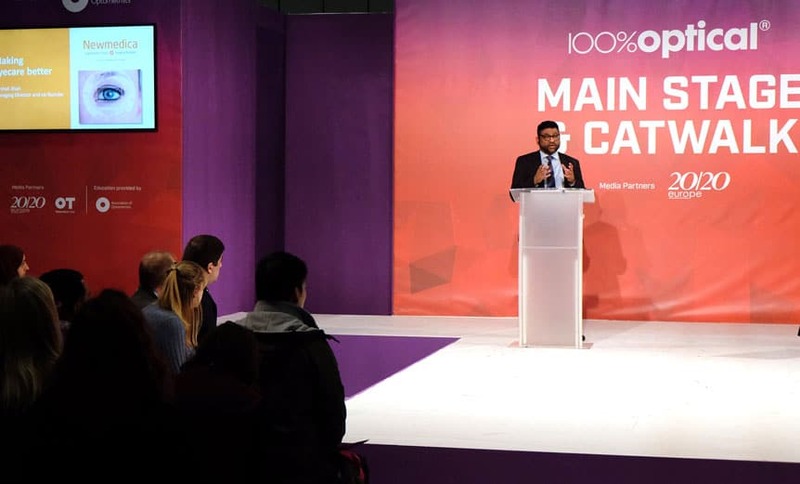 There was a large turnout at 100% Optical for one of the show’s main stage presentations, ‘Changing optometry for good’ by Specsavers and ophthalmology partner Newmedica. 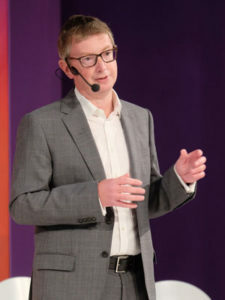 Giles Edmonds, clinical services director at Specsavers, spoke about the increasing threats to optometry, and what should be done right now by the profession. Giles was followed on stage by Newmedica managing director Darshak Shah, who spoke about the new models of care that Newmedica is developing to deliver integrated eyecare services for patients and about plans to open more surgical centres across England. He shared how his own experience as an ophthalmology patient had led him to establish Newmedica more than ten years earlier with consultant ophthalmologist Jeremy Diamond in order to ‘make eyecare better’. Finally, Newmedica ophthalmology joint venture partner Nigel Kirkpatrick gave his views on the challenges and opportunities ahead. 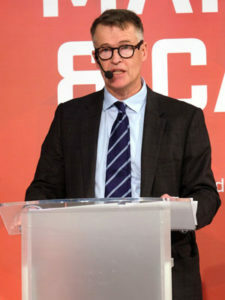 ‘For more than 15 years, important bodies in and around the NHS have been raising the issue of capacity constraints in the NHS and the direct consequence on people’s vision,’ he said. ‘Yet there are still NHS hospitals out there with thousands of patients that they cannot see on time.